What's next for The OGs? 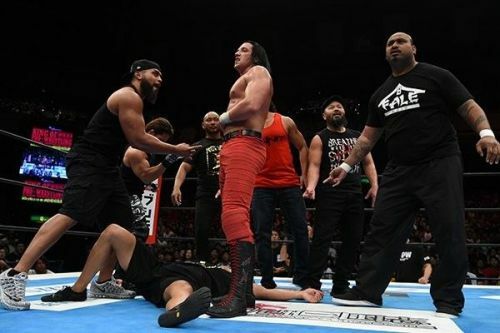 Earlier this week, at NJPW: King of Pro Wrestling, The Bullet Club once again shocked the entire world by adding 'Switchblade' Jay White to their ranks, alongside NJPW OGs Gedo and Jado. With The Guerrillas of Destin capturing the IWGP Heavyweight Tag Team Titles the previous week at Fighting Spirit Unleashed from The Young Bucks, the Bullet Club OGs are slowly and steadily getting back to the top of the helm, having already won the NEVER Openweight Six-Man Tag Team Titles with Taiji Ishimori at the G1 Climax finals. 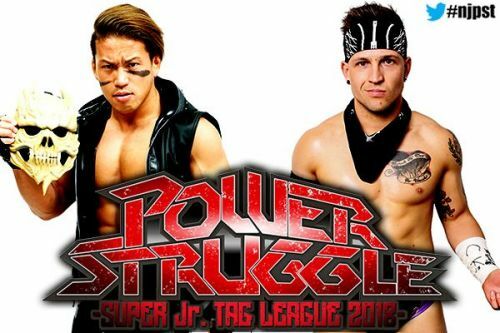 Speaking of Taiji Ishimori, 'The Bone Soldier' has now handpicked his new tag team partner for the upcoming Super Jr. Tag Tournament in the form of Aussie sensation Robbie Eagles, who will also be joining the OGs within a few short weeks. In the on-going civil-war with The Bullet Club Elite, it is now pretty safe to say that The OGs now have a lot of firepower in their line-up and with that here are five potential directions for The Bullet Club OGs following King of Pro Wrestling. Both Taiji Ishimori and Robbie Eagles are two of the finest Jr. Heavyweight singles competitors and with the two men set to team up at the upcoming Super Jr. Tag Tournament, the duo not only has the opportunity to become eight Super Jr. Tag Tournament winner but could very well bring the IWGP Jr. Heavyweight Tag Team Titles to The BC OGs. That being said, Ishimori, on the other hand, has also been noted as the next potential title challenger for Kushida's newly won IWGP Jr. Heavyweight Championship at Wrestle Kingdom 13. Either way, expect The BC OGs to dominate the NJPW Jr. Heavyweight Division for the next few months and till WK 13 in 2019.